We (The core SolidCP management team) would like to share our apologies on the delay of version 1.2.0. We feel that we should always try to meet the release dates but more importantly we need to release a stable product for everyone. We are planning to release 1.2.0 around 1st March and will make a further announcement on a final release date. We would also like to thank everyone for their kind comments and hope this is not received with negativity or that development has slowed down (We are working as hard as before to get the stable code to you). We do have a lot of changes in 1.2.0 including new features and plenty of fix’s (Including alot of GUI changes to make it look more modern). have you some informations about the news features ? Do what you gotta do 🙂 We’d rather see a stable sweet product rather than a horrible buggy one. Also can you guys slip in a feature to make it so when you do db backups, or zip files backups under scheduled tasks, that it has a “retention” option that says only keep x amount of backups, so it doesn’t fill our servers up with hundreds of days of backups? If not, I’ll have to make some form of script to execute that will delete files after x amount of days I guess. Thanks! Kudos to a great piece of software guys! Virtual Directories has been rewritten to allow for virtual directories and applications. Alot of bugs have now been fixed. We are still working on Spam Experts and a international bug for RDS which we do hope is included in 1.2.0 (We need to make sure these are bug free). 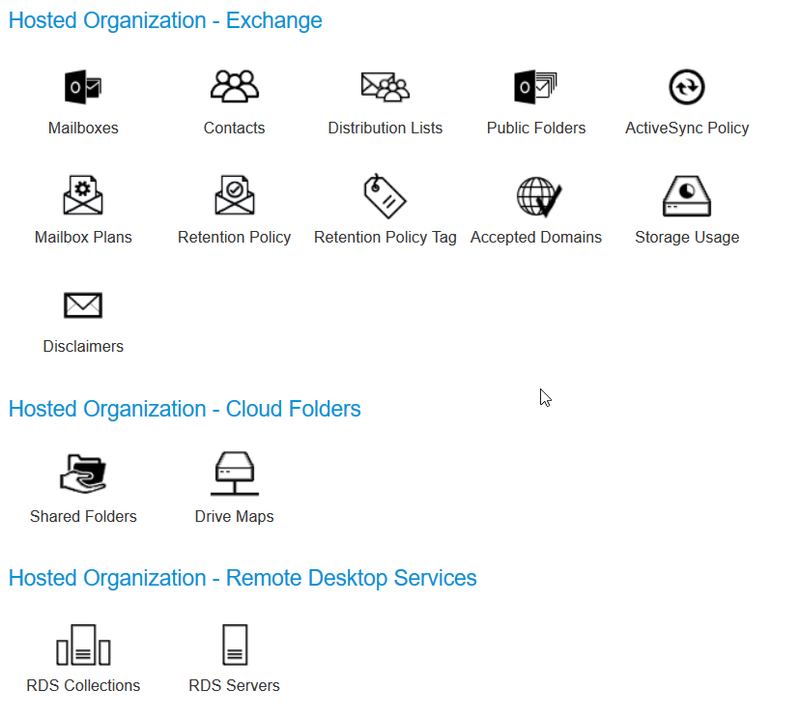 One of the main design improvements are to the hosting space icons and also the overview of websites. I have included a few screen shots of these improvements for you to take a look. Not that we can already test them. It may be too late for next release, but could you please take a look at the MS web application gallery. A lot of the installers are broken with the latest releases. We are currently installing Umbraco and Dotnetnuke manually for clients as the installer is not working correctly with them. First major issue is when you select to create a new database rather than use an existing one, the database is not created by SolidCP. If you run a few app install tests you will see the issues quite clearly. Should I upgrade first to SolidCP v1.1 or can I wait for SolidCP v1.2? You can upgrade to SolidCP 1.1.2 at the moment and we will have easy to follow upgrade procedure. I am just trying to finalize a date on the 1.2.0 release it most likely will be 20th March. We do plan to release a definite date in the next 48hours. I wanted to see if the release for later this month is going to resolve the forgot password feature. We have had 8 or so customers try to use that feature and complain about it. We have users ask us daily to fix that password retrieval bug. It really needs to be fixed in the next build please. I can confirm i have fixed the bug where the one time password would redirect to a error page. If you have a different type of error with password reset can you please make a new forum post explaining the issue?